This is not a credit card or a legal tender. Bearer is the owner of the card. This card holds no value until activated with a minimum load value of Rs. 500/-. This card is valid for a period of 1 year from the date of activation OR until the balance in the Card reaches zero WHICHEVER IS EARLIER. The return policy of Spencer’s will be applicable to items purchased using this card. In case of a replacement, goods equivalent to the value of the gift card can be purchased. Any amount above that will be required to be paid for by the customer. 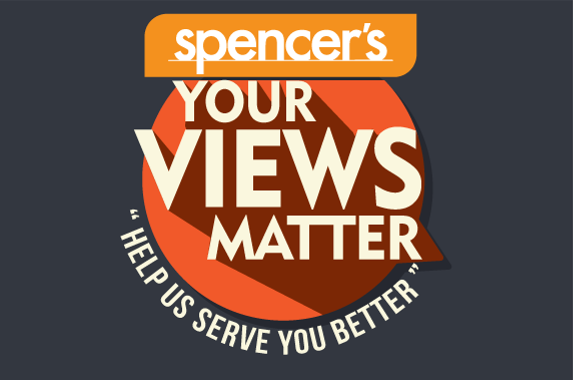 Spencer’s is not responsible/liable for any loss to customer if the card is lost or stolen in any manner whatsoever; if it is lost or stolen it can’t be blocked. This Card is only an entitlement to credit to the extent of the load value of the card at the time of the purchase. The load value of this card cannot be encashed. The gift card can be used for multiple redemptions against multiple bills, equivalent to the balance available in the card. If purchase value exceeds the balance of the Card, the order balance must be paid with credit/debit/prepaid card or cash at the time of purchase. This card is the property of Spencer’s Retail Ltd to whom it should be returned on request. Spencer’s shall not be liable and responsible for any unauthorized and/or fraudulent purchase/s made using the card. The holder of this card shall be solely responsible for the safe custody of the card and the credentials mentioned on it.